So many fun things to try when scrapbooking, so little time! 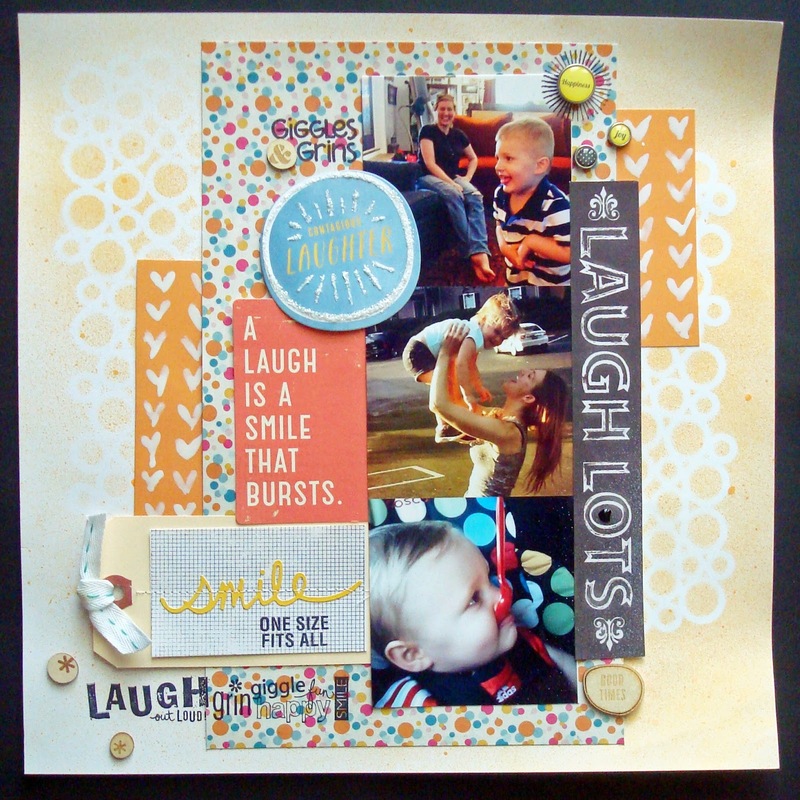 Sometimes it is relaxing to streamline your scrapping with a simple approach. Sometimes a girl has a get a little messy. 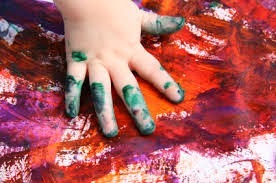 Spray mists, Gesso, stamping, die cuts, layering, borders....so many cool ideas that are NOT clean and simple. Time for some inspiration from my Go To Master Forgers! 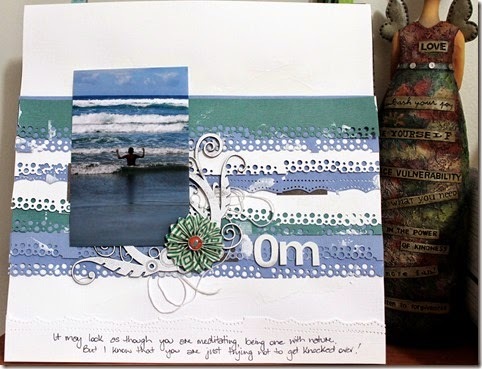 Guest Designer JANE took a no fear approach to her layout! I love how she combined paper punching, gesso and altered chipboard (with paint and embossing). The effect is stunning! 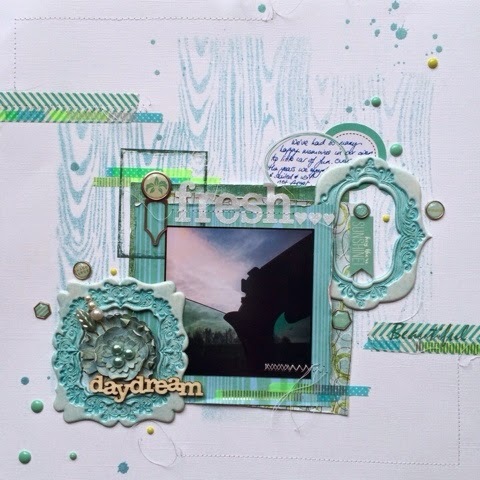 LesleyG used stamping, stencilling and die cutting to create her layout about the time she met the lovely Jen. More details and close ups can be seen on her blog. Yes, Bethany is back with some Gel Medium, Paper Pleating, Misting and Stamp Layering. Head over to my blog to see my thought process for this card. And, Susanne got playful with fussy-cutting, stitching and misting (not to mention her title) on this layout. Details can be found over at her blog - Snaps & Snippets. Leslie sewed, stamped, misted, blinged, layered & painted! For details look HERE. Now, how can YOU participate? Go to the sidebar and use Mr. LINKY to link us to YOUR kit or project using your kit so we can leave you some love! We will make a brand new Mr. Linky for each month, so get your blog posts linked ASAP! To make Mr. Linky a little easier for us to use, please type your name and then a description of what you are linking (ie: kit, mini challenge, ect…). We also have a new twist on our Follower Blog Hop for this year! I hope you like it! On the 24th of each month we offer a blog hop opportunity to all of our followers! 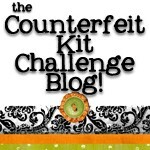 A chance for you to show off a special project made with your counterfeit kit for that month. Your Blog Hop Project may be from any of the 3 challenges we offer throughout the month. Your project must be something new that you have not shown before and only post for the hop.